Here is Idego Coffee's WEBSITE. I have used one of these desks before, lots of space and a very cool feature for a coffee-shop! We must bring typewriters! Oh, perfect. And the perfect place to take a nice little Hermes. Over-rated or not. 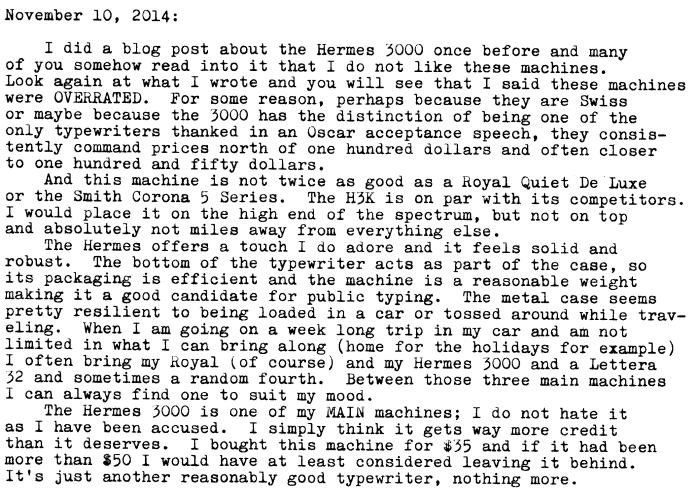 I generally agree with you about the Hermes, but I have to single out a couple of features for praise: the super-smooth carriage return and (especially) the flawless alignment. Now isn't this a nice place to install a Hermes? I personally prefer the 2000 over the 3000 (I guess we already had this discussion in the typosphere).